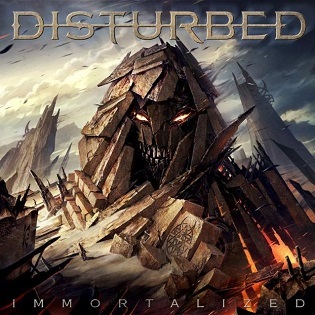 Continuing the August 21st album analyses from last week, we have "Save Our Last Goodbye" by Disturbed from Immortalized. I haven't entirely made up my mind on how I feel about Immortalized yet, but I'm starting to feel like it might be their weakest album in quite some time. Previously, I felt like Disturbed were improving with every subsequent album release, but Immortalized feels very "same-y". I know that this is a complaint which has dogged Disturbed for quite some time, but it rings especially true on this album. The songs sound very similar to their Asylum-era stuff, but the real problem is that a good portion of the album feels like b-side material, with only a few tracks really standing out. This is especially problematic since they were supposed to change up their sound during the hiatus, but they sound the same as ever... if not worse. Now to be fair, they do change it up occasionally, with "The Light", "Fire It Up" and "The Sound of Silence" all being quite different than we're used to with Disturbed. However, of the three, I only really liked "The Light". "Fire It Up" is ruined by ridiculously stupid lyrics, and "The Sound of Silence" didn't really work for me (I do know that some people were really happy with it though so to each his own). While I enjoy "Save Our Last Goodbye" and think that it's one of the better tracks on the album, I think we were really spoiled with "The Vengeful One". Nothing else on the album even comes close to being as good as that song. It also doesn't help that The Awakening (released on the same day) was so good, it makes Immortalized feel much more inadequate in comparison. While I enjoy Immortalized overall, it is just a bit of a disappointment - I'd probably say it's their 4th best album (out of 6). 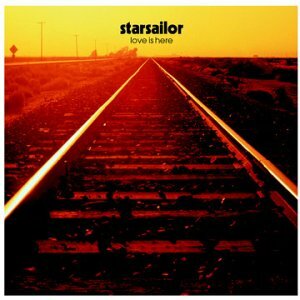 Secondly this week we have "Way to Fall" by Starsailor, from their album Love is Here. The reason I picked this song this week is because of the monumental release of Metal Gear Solid V: The Phantom Pain. "Way to Fall" was the end credits song in MGS3: Snake Eater, which was definitely my favourite game in the franchise. It's also a great song in its own right, but when paired with the incredible ending sequence in Snake Eater, it takes on a whole new depth of tragic meaning. That said, I would have liked to get "Here's To You" from MGS5: Ground Zeroes, but it sadly is not on Spotify. I have been playing a lot of Ground Zeroes in anticipation for The Phantom Pain, and have had that song stuck in my head for weeks now. I'm really glad I jumped back in though - the game has a really rewarding skill curve. When I first jumped back in, I was getting spotted constantly by enemies that I didn't notice, putting me in messy situations constantly. However, as I improved, suddenly I was able to go whole missions undetected, twitch-spotting enemies on the fly, consistently headshotting enemies at over 50m with my tranquilizer pistol, etc. It was quite fun and rewarding to improve so dramatically, when I was so hopeless only a few days earlier. Plus, I'd definitely recommend getting all the XOF patches - the Jamais Vu mission in particular is an extremely fun diversion. I imagine I have now gotten at least 10 hours out of the game, which makes me feel better about the $35 price tag which was so controversial when it released.